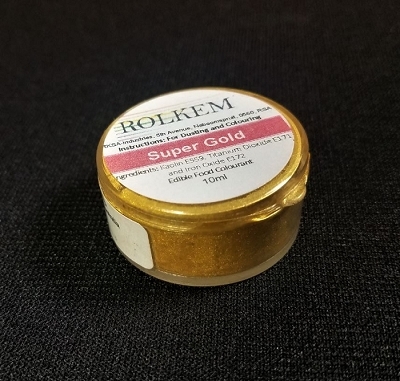 Super Gold Metallic Dust by Rolkem 50g. 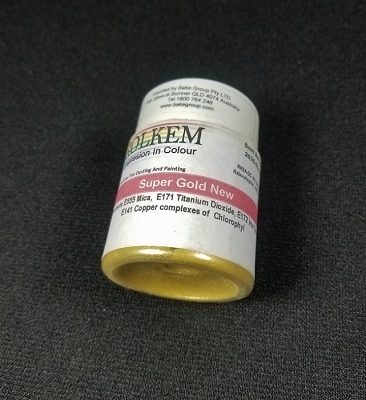 This metallic highlighter dust is food approved in Europe, Canada, and Australia, otherwise it is considered non-toxic and for decorative use only. 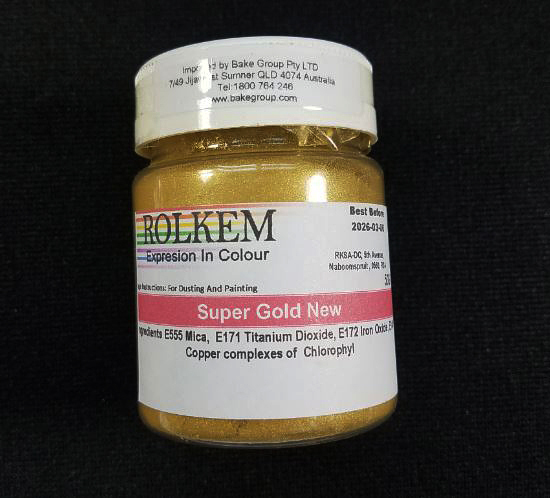 Rolkem super dust colors provide a glossy finish and will give your finished piece a beautiful metallic look. 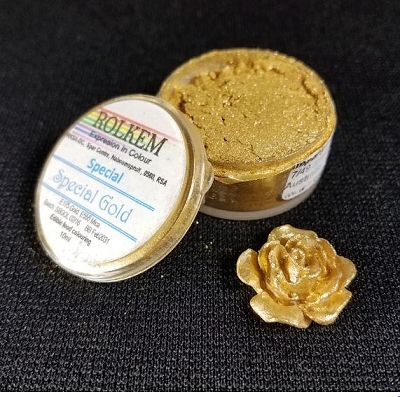 You can paint, mix, or dry brush this dust on fondant, gumpaste, icing, etc. and it leaves a brilliant shine. Color can slightly vary from batch to batch. 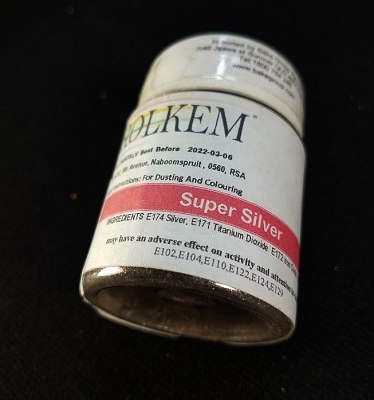 This 50g container is the equivalent to 15 of the small 10 ML containers of dust.